While some people seem to be more positively influenced than others in life, some of us wish we could be more positive in our own lives. 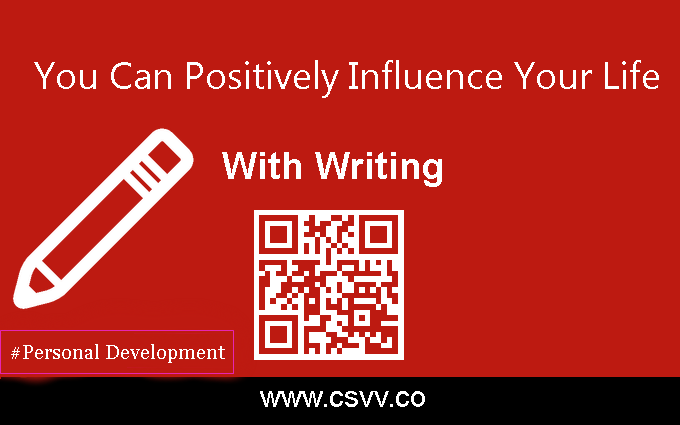 You may be wondering just how writing can positively influence your life. One way to accomplish that is daily writing. Here, we will discuss a few ways writing can influence your life; positively. You will be able to learn more about yourself. Feelings and emotions, triggers for anxiety, stress, or other feelings. Ways to cope with those triggers. It is a great emotional outlet. Improve your writing skills and vocabulary. You will start learning new words and how to use them. You can also improve your grammar. As you learn new words you will find yourself using them when you speak. Goal setting. When we write a goal on paper and place it on our refrigerator or a mirror where we will see it each day, we work harder on reaching that goal than if we just say it to ourselves. It helps us to make them more of a reality when we write out our goal on paper and hang it where we can see it every day. Clearing your mind. Brainstorming ideas for stories or writing down your feelings help to clear your mind. When your mind is clear you will find it easier to fall asleep at night, as well as concentrate on other projects or work during the day. Become more organized. Writing to-do lists each day can help us become more organized and accomplish more tasks. As you write “your” to do list for a while you will notice that you are organizing it with the most important task at the top, then the ones that are of medium importance in the middle and the ones that can wait at the bottom. Each day you will find that you are accomplishing more of the tasks on time and have more time to do the not so important ones before the day is over. If you suffer from writer’s block, writing each day often stops that block from happening. If you discover that you are in a writer’s block in the middle of a story, take 15 or 20 minutes and just write whatever comes to mind. This allows your brain to clear itself and open up the block. Often people who write every day find that they have started reading more. Reading more will influence your vocabulary and writing skills. Reading also can provide more knowledge on many different topics; including world affairs. You will take stock of your career and you may even decide to change careers to a writing career. You will be looking for more or new opportunities to write. If you are looking for an online service that will help check and improve your writing skills; go to writingdaddy.com. This online service helps you check and improve your writing skills, as well as offers other services. Rick Riddle is an up-and-coming blogger whose articles can help you with self-development, personal finance and content management. If you want to know why discipline is important and how self-sufficiency can help you in reaching your goals – follow Rick on twitter.